Adam Zampa, the legspinner, claimed three wickets to bowl Australia to victory and avoid a Twenty20 International series defeat against Sri Lanka in Adelaide on Wednesday (February 22). Zampa, who was left out of the previous match which Sri Lanka won to clinch the three-match series, captured 3 for 25 at a crucial stage as Australia went on to win by 41 runs. He was named the man of the match. Aaron Finch and Michael Klinger, the openers, hit half-centuries as Australia, with their leading stars in India for this week's Test series, set Sri Lanka 188 runs to win. But Sri Lanka could not reproduce another of its sensational late comebacks as it had done in the first two games, achieving a win off the last ball. Sri Lanka's chase was given early impetus by Dilshan Munaweera, who smacked 37 from 25 balls but from 41 without loss in the fourth over, the visiting side slid to 76 for 4 by the 10th over. Zampa claimed the vital wicket of Asela Gunaratne, the man of the series, leg before wicket for four in the 10th over and it proved to be a big blow. Gunaratne slammed a pulse-racing 84 to power Sri Lanka to a last-ball victory against Australia on Sunday after clubbing 52 off 37 balls in the opening win in Melbourne. James Faulkner also took three wickets with his clever changes of pace to maintain Australia's advantage. It was Sri Lanka's first defeat in six T20Is in Australia. 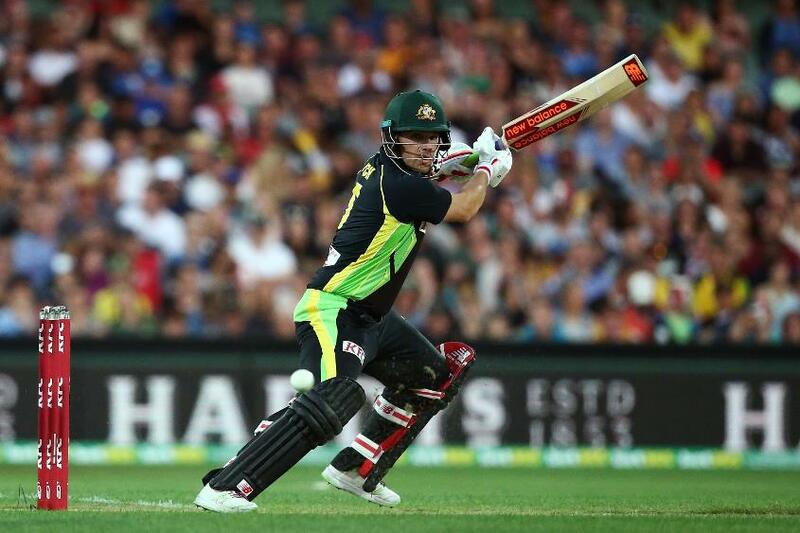 Finch, the skipper, was dropped by Munaweera before he had scored on the fifth ball of the Australian innings and went on to cash in with 53 off 32 balls with three sixes and five fours. Klinger proved the mainstay of the innings with 62 from 43 deliveries with six fours and a six. The opening pair put on 79 runs for the first wicket. Ben Dunk (28 from 21 balls) and Travis Head (30 from 16) also contributed to get Australia to 179 for 2 before a late flurry of wickets cost the side a chance to top a 200 total. Sri Lanka claimed four wickets in the final 11 deliveries with Lasith Malinga taking 2 for 35 and Chamara Kapugedera taking three catches in the deep.